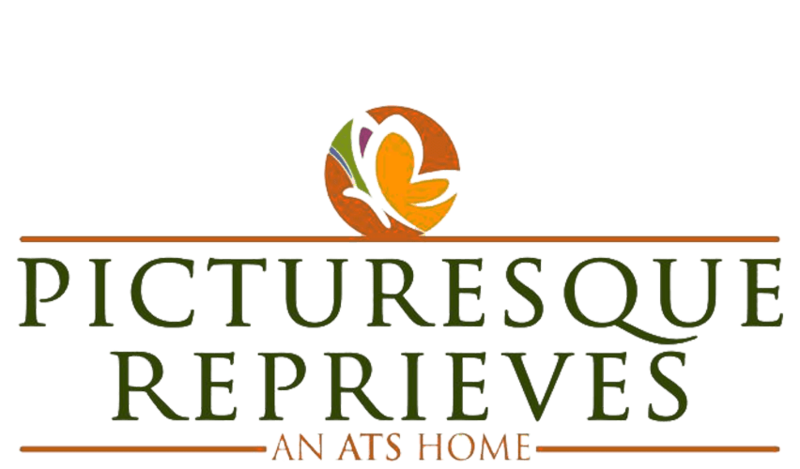 ATS Picturesque Reprieves is another awesome housing project of ATS Group that is being liked by the people most. The project is counted amidst the top-notch residential projects launched by the giant across Noida and Delhi/NCR. The project is based out at Noida, sector-152 that gives good connectivity with Yamuna Expressway and Greater Noida as well. Moreover, the project site is also easy to connect with nearest hospitals, schools, colleges, etc., in just few minutes. Hence, it will be wise deal for all home seekers in Noida to book their flats in this wonderful residential project of leading real estate giant ATS Group in advance and be the owner of a property under the budget. The ATS Picturesque Reprieves is a well-designed residential project for property seekers. Being a small township project, it comprises well-furnished commercial properties, residential spaces, and sports complexes as well. All ranges of structures possess modern designs and have made stunning from every corner. This world-class project offers high-end residential apartments in ranges like 3 BHK and 4 BHK. Moreover, the project will be completed in four phases. So, do not waste the time, just visit the nearest property dealer or visit the website of the ATS Group to know about this world-class housing project in Noida sector-152 and be the first customer to book for flat wisely. This awesome project comprises 11 towers with greenery and a stunning club house as well. The giant ATS has managed to develop maximum two or four flats on each floor of the building. Due to the low density area, there is less space for car parking in the basement. But still, some area remains at the back side of the construction to use for parking of two wheelers at least. But, itâ€™s advised to be clear about this fact from the property agents before making any deal final of booking flats in this project. The whole structure includes 31 towers with 3 furnished clubs and a vast green area covering 80% space. The wonderful residential project covers the huge area ranging from 1850 sq. ft. to 3200 sq. ft. However, the property buyers have choices between 3 BHK and 4 BHK apartments in the township that is full of fresh air and greenery around the corner. Thus, it will be an incredible idea to book for furnished flats in this exciting ATS Group residential project and live with family in a lush are of the city easily. Amidst the top-rated ATS township projects, ATS Picturesque Reprieves has gained good fame due to its amazing design and world-class construction. Besides, the project is being praised by the customers due to all types of facilities such as club house, Swimming Pool, Tennis Room, Squash Court, Amphitheatre, Skating Rink, Jogging Tracks, Cards Room, Basket Ball Court, Cricket Pitch, Table Billiards Room, Clubhouse, Badminton Court, Yoga Room, Lawn Tennis Court, Gymnasium, Kids Activity Area, Convenience Shops, Multi-Purpose Hall 3 tier security, Reflexology Track, and rest of the outdoor amenities as well. With such superb amenities or facilities, the project has been turned as a right investment option for future and lets you live life king size. So, if you have miss the opportunity earlier, then go for it this time and make a furnished residential apartment or flat yours buy making booking formalities in advance. One can approach to the project site at Noida, sector-152, through Greater Noida and Noida Expressway in less time. Moreover, it gives easy connectivity among Faridabad-Noida-Ghaziabad as well. Interestingly, the project is well-connected to the nearby hospitals, schools, colleges, shopping centers, educational institutions, IT companies, corporate firms, F1 racing circuit, Pari Chowk, etc., in Delhi/NCR. Thus, itâ€™s pretty easy to approach to the site from everywhere in Noida and other parts of Delhi/NCR. Thus, it would be a perfect deal to book for property in this well furnished residential project of ATS Group in all approaches. Apart from that, the ATS Group has managed to deliver round the clock water and electricity supply in the ATS Picturesque Reprieves project. Besides, the campus will surely include well-furnished commercial spaces, shops, clubs, restaurants, cyber cafÃ©, gymnasium, shopping mall, banks, food corners, parking, and many more. All you can avail under the one roof. So, you do not need to go elsewhere for basic needs, as all facilities are available under the space of this wonderful residential township project of ATS Group. In terms of safety, this ATS Picturesque Reprieves has been made rock strong against small earthquake and other hassle. Besides, it holds a strong construction of quality material that will remain stable for many years. So, do not worry about the durability of the project that is also world-class for sure. Last but not the least, the properties available in the ATS Picturesque Reprieves project are highly affordable and lie under the budget of a common person or a businessman. No matter, you want to experience the fun of luxury residential house at low price. Just book the residential apartment in this exciting project of ATS and be the owner of a king size 3 or 4 BHK apartment easily. Moreover, the shopkeepers or business people can book highly furnished shops and office spaces in this luxurious commercial township project at highly competitive prices. Hence, this project has so much for all level buyers to book dream property under their budget. So, do hurry and be the first in flat booking race in the ATS Picturesque Reprieves project in Noida now! Area size-1850sqft, 2350 sq. ft., and 3200 sq. ft.
For more details about, ATS Picturesque Reprieves Project, you can visit the official website of the ATS Group. It is recommended to verify the project details, pricing, construction level and facilities available in the project from the consultants in advance before making the deal final and be a wise customer in property dealing.